We’ve received a couple different Razer products over the past year that are really cool for the first time out but rarely do we ever get anything that is basically a successor to an existing product. That changed when they sent us their new Abyssus Essential gaming mouse a couple weeks ago. The item basically serves as a successor to the Abyssus V2, and is supposed to be a vast improvement over its predecessor. But how well does it truly handle and hold up? Immediately from the design, we can tell that they basically smoothed out all the rough spots. The palm rest feels softer, the buttons feel more contoured for your fingers, the size feels like it fits well under your hand, the scroll wheel moves easier and has less friction against it as you move it up and down. Everything about this feels like they took the proverbial sander to the previous model and made it feel more like a regular mouse and less like a piece of glorified design. There are just the two buttons and the wheel, so this is designed to be a beginner’s gaming mouse without all the flash and added buttons. When using it in a game, this thing was a dream. 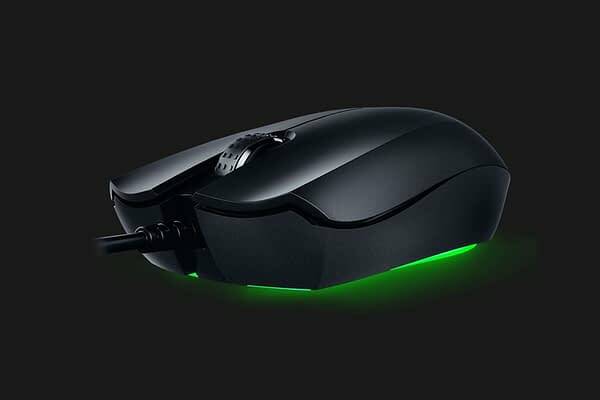 It comes with a gaming-grade accurate 7200 DPI optical sensor, which is basically like asking for added control on top of the control you already have with a regular gaming mouse. This made sniping people in Fortnite a breeze with deadly accuracy and made me feel like I could take on the entire world from a distance. The bottom of the mouse doesn’t have any kind of friction points and moves on your pad like there’s nothing there, which made looking and shifting around quite easy. 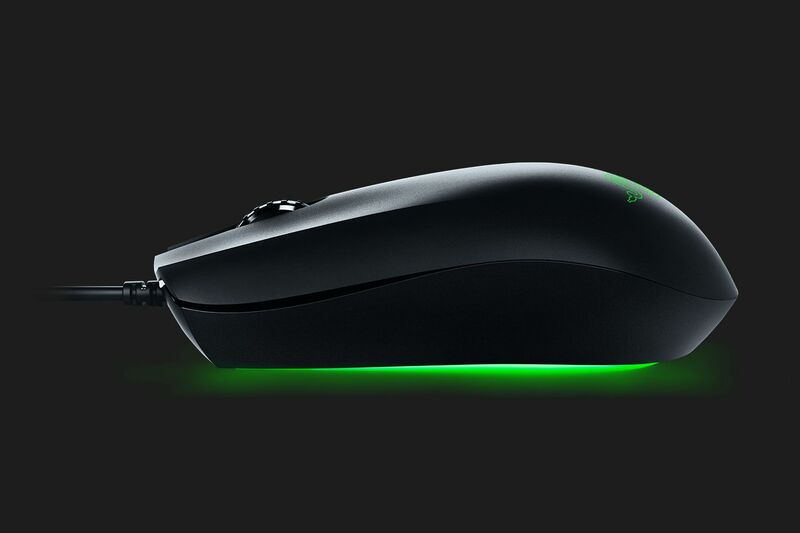 Because it’s a Razer mouse, of course, it comes with lighting that you can control through their software to make it look how you wish. 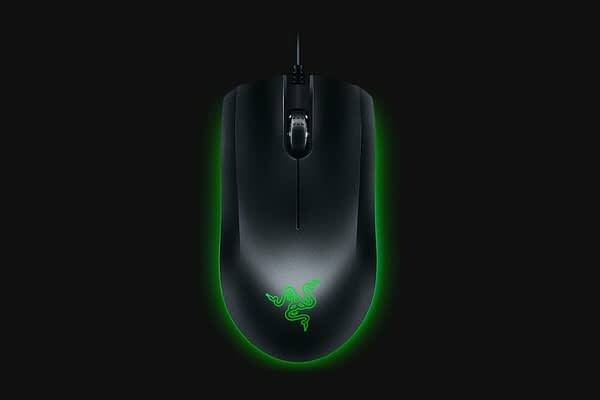 It glows from underneath as well as lighting up the Razer logo on top. I had a lot of fun with Razer’s Abyssus Essential, and that’s the big key ingredient that a lot of gaming mice tend to forget in all the designing and perfection testing. If you’re worrying about your mouse’s DPI settings more than you are about how well you’re playing, you have a problem. This tends to take out all the guesswork for planning and is a major help to average gamers. 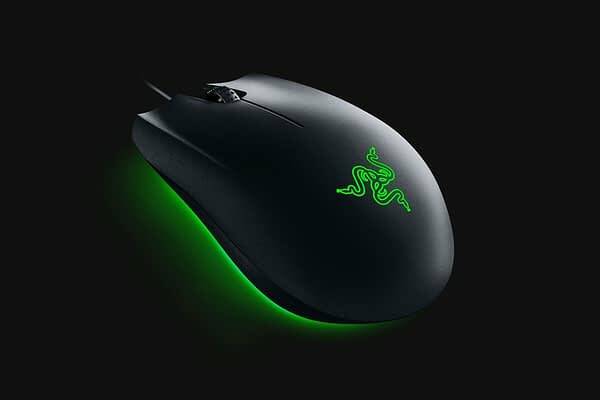 The best part is that it’s $50, which is more than reasonable for people who are just starting out and need a mouse to learn to game with that resembles the average versions you automatically get with a PC, so it feels like familiar territory. This is a must-own if you’ve got a kid or a teen that wants to play better, or someone trying gaming for the first time and needs something awesome but simple to work with.